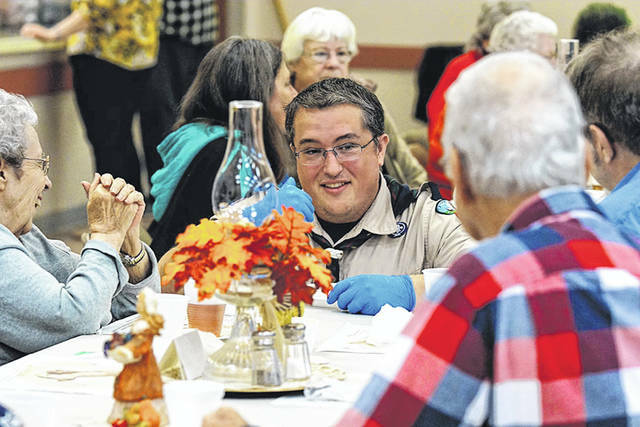 Barb Slone | Greene County News The Fairborn Senior Center, as well as a number of local churches, organizations and individuals, joined together to offer the community a free Thanksgiving dinner Nov. 22 at the senior center. Fairborn Senior Center Executive Director Ellen Slone-Farthing said her goal for the meal is to ensure that no one eats alone. The food was made possible by donations from various churches, organizations and private individuals. 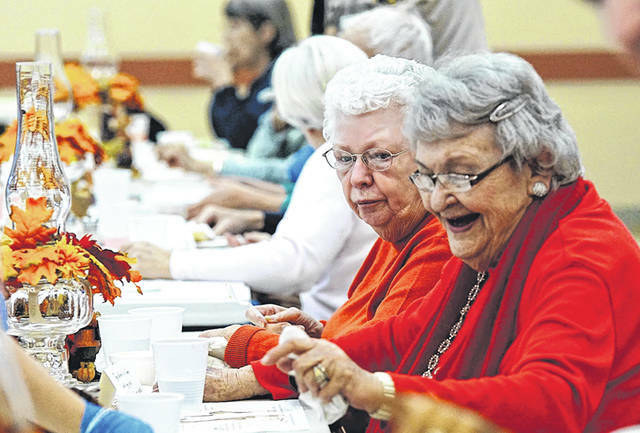 The Fairborn Senior Center, as well as a number of local churches, organizations and individuals, joined together to offer the community a free Thanksgiving dinner Nov. 22 at the senior center. https://www.fairborndailyherald.com/wp-content/uploads/sites/50/2018/11/web1_FairThanks01.jpgBarb Slone | Greene County News The Fairborn Senior Center, as well as a number of local churches, organizations and individuals, joined together to offer the community a free Thanksgiving dinner Nov. 22 at the senior center. 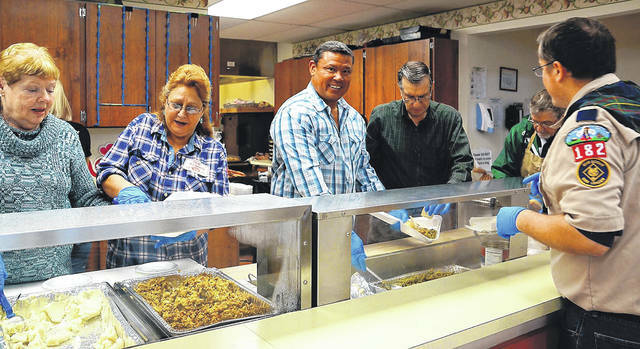 https://www.fairborndailyherald.com/wp-content/uploads/sites/50/2018/11/web1_FairThanks02.jpgFairborn Senior Center Executive Director Ellen Slone-Farthing said her goal for the meal is to ensure that no one eats alone. The food was made possible by donations from various churches, organizations and private individuals. https://www.fairborndailyherald.com/wp-content/uploads/sites/50/2018/11/web1_FairThanks03.jpgFairborn Senior Center Executive Director Ellen Slone-Farthing said her goal for the meal is to ensure that no one eats alone. The food was made possible by donations from various churches, organizations and private individuals.